It's a week before Christmas and Hettie and Tilly set out on a very dangerous case for The No. 2 Feline Detective Agency. 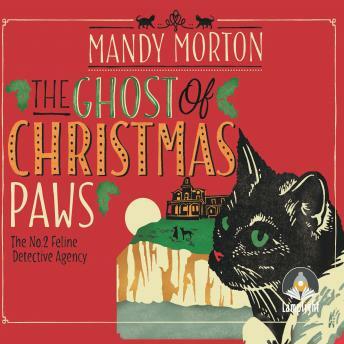 Lady Eloise Crabstock-Singe has summoned them to Crabstock Manor, hoping they can solve the mystery of Christmas Paws: a servant cat that haunts the Manor, intent on killing off all the Crabstocks. Through blizzard and storm, stranded on the notorious Bodkin Moor, will Hettie and Tilly save the day and get home in time for Christmas dinner?